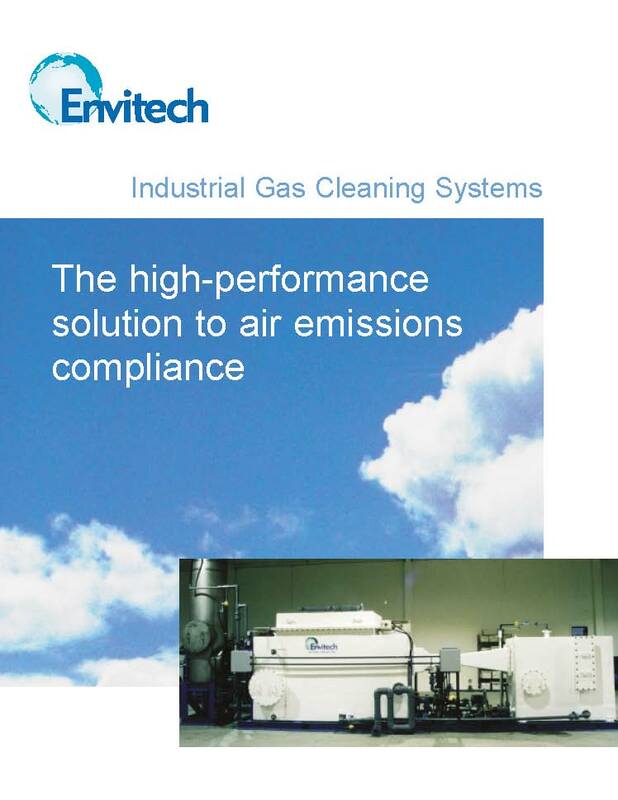 Envitech systems are custom engineered to solve the most challenging air emission problems. Envitech systems treat hot gases from thermal processes including kilns, furnaces, roasters, dryers, incinerators, hazardous waste combustors, thermal oxidizers, gasifiers, and pyrolyzers. Click on the links below to learn more about specific applications and to download literature. Envitech provides packed bed absorbers to remove acidic gases such as HF, HCl, and SO2 that are emitted from ceramic kilns. Envitech provides equipment treating a wide range of exhaust sources such as particulate removal from process gas production, acid absorption from regenerative thermal oxidizers, and metal capture from roasters and furnaces. Ethanol scrubbers, sometimes referred to as fermentation scrubbers, recover ethanol vapors from ethanol production facilities and distilleries. Envitech provides packed bed scrubbers to remove sulfur dioxide (SO2) from the combustion of non-condensible exhaust gases. Envitech provides wet scrubbers to remove contaminants from laboratory fume hoods and batch production facilities. Envitech is the leading supplier of medical waste incinerator scrubbers to control particulate, acid gases HCl and SO2, heavy metals Pb, Cd, and Hg, and dioxins/furans. Envitech provides Venturi scrubbers and wet electrostatic precipitators to control particulate formed during fiberization and curing processes. Several applications use wet scrubbers for NOx abatement including nitric acid manufacturing, metal finishing operations, and other types of chemical processing. Envitech Venturi scrubbers remove particulate, hydrofluoric acid and sulfuric acid formed in the mining and processing of potassium. Envitech packed bed scrubbers remove sulfur dioxide (SO2) from refinery and asphalt operations. Envitech provides a host of technologies to the lead smelting industry, including packed bed scrubbers for acid gas control and and wet electrostatic precipitators for heavy metal removal. Sewage sludge incinerators (SSI) typically operate at municipal waste water treatment facilities and combust dewatered sewage sludge to reduce sludge volume and disposal costs. Envitech provides gas cleanup systems for the production of sulfuric acid, including quenchers-Venturi's, condenser/absorbers, and wet electrostatic precipitators.